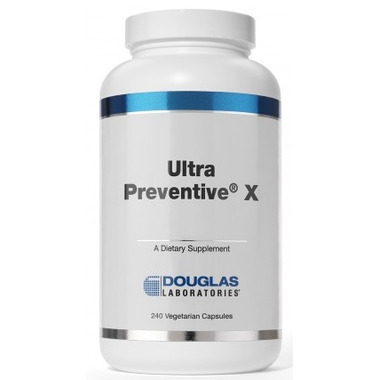 Ultra Preventive® X Vegetarian Capsules, provided by Douglas Laboratories®, is a comprehensive, highly concentrated vitamin-mineral trace element daily supplement containing more than 50 nutritional ingredients, all in a special herbal green food base. Its formula is carefully balanced to provide the essential nutrients for optimal health. 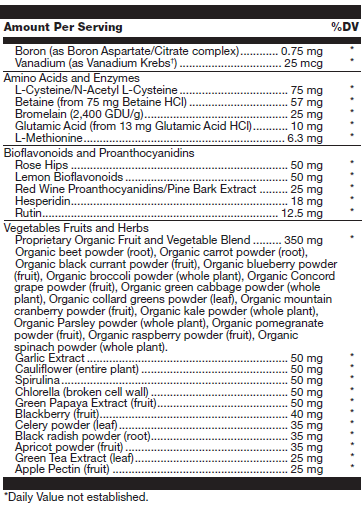 Ultra Preventive® X is also a potent antioxidant formula that includes natural betacarotene, vitamin C, vitamin E, selenium, Lcysteine/N-acetyl-L-cysteine, lutein, lycopene, red wine proanthocyanidins and select extracts and powders from over 25 fruits, vegetables and herbs. This product contains NO yeast, gluten, soy, milk/dairy, corn, sodium, sugar, starch, artificial coloring, artificial preservatives, artificial flavouring, or genetically modified ingredients (GMOs). Suggested Usage: As a dietary supplement, adults take 8 vegetarian capsules daily or as directed by your healthcare professional. This product is best taken with meals. Other ingredients: Hydroxypropyl methylcellulose (capsule), cellulose and silica. † Krebs = Citrate, Fumarate, Malate, Glutarate and Succinate Complex. 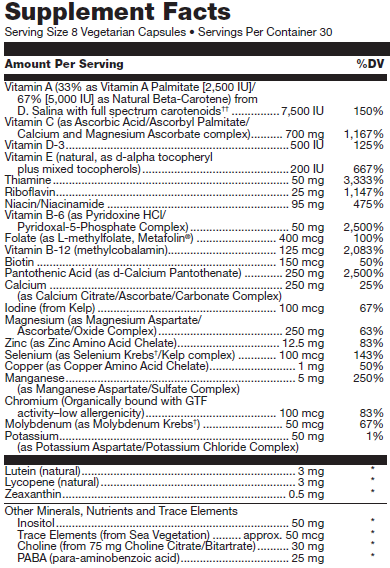 †† Including Beta-Carotene, Alpha-Carotene, Zeaxanthin, Cryptoxanthin and additional Lutein and Lycopene. This is the best protein powder I have ever used. It tastes good, and more importantly, because of the ingredients, I have no reactions whatsoever. It is extremely nutritionally speaking and gives me what I need to start my day every morning. Love it! Excellent product with noticeable results recommended by some orthopaedic surgeons & alternative western trained doctors. That's how I became familiar & have been using it for years. Great reliable product with quality control.